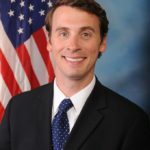 Ben Quayle is an American lawyer and politician who is a former U.S. Representative for Arizona’s 3rd congressional district. A member of the Republican Party, his Dad is the former Vice President of the United States Dan Quayle. He is a member of the Tea Party movement, which had many of its members swept into office during the 2010 elections. "I welcome the President and working with him to try to get some of that medical malpractice reform so we can get the cost of health care to come down." "Spending when the math’s not there and the numbers aren’t there and if they look in the social security trust fund, it’s filled with IOUs because the government’s been pilfering it for years on end. We have to do something. We have to start having this discussion."